The Northwest Instrument Auto Level - Builders / Contractors is a compact, lightweight and durable survey and construction leveling tool. This auto level has a working range approximately 200 feet up to 400 feet. Also, it features an accuracy of up to ±1/16 inches at 100 feet to 300 feet. Plus, it offers a minimum focus range of up to 3.3 feet for better precision. 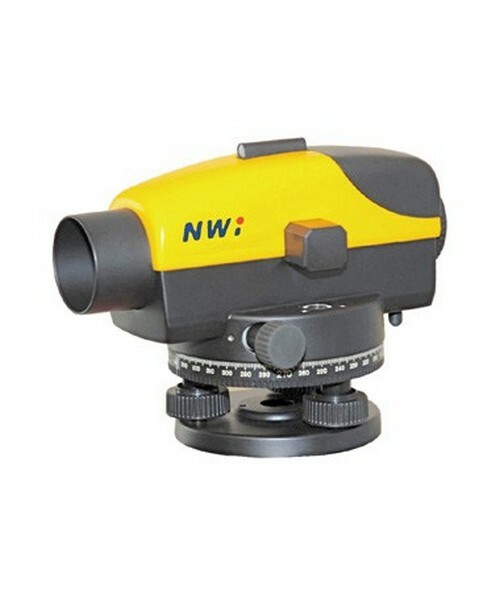 Allowing the user to see the target clearly, this Northwest Instrument includes a large focusing knob and multi-layer coated lens. This survey instrument has a circular bubble level with a pentaprism and a 360-degree horizontal circle that can quickly make fine adjustments. It also features a ±15 arc-minute compensator range and an option of wire-hung, magnetic dampened compensator type or a steel cage, wire-hung compensator. This leveling instrument fits any standard 5/8-11 tripod thread. It also features a continuous-drive tangent style with three leveling screws. With these features, it is a perfect tool for projects such as landscaping, fence building, foundation construction, pipe laying, and similar jobs. The Northwest Instrument Auto Level - Builders / Contractors offers five models with varying features. Please select your preference from the drop-down menu above.